Jill Kleiner is a board certified Adult Acute Care Nurse Practitioner. She began her career working for five years as a volunteer pre-hospital EMT, in a small community in northern New Jersey. Since then, she has honed her skills working as a traveling registered nurse (RN) in Emergency Departments all across the United States. 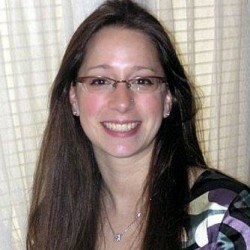 Jill received her Master’s Degree in Nursing from the University of Pennsylvania with a specialty in Adult Acute Care. She further developed her skills while working at the University of Maryland Medical Center Adult Emergency Department. She was welcomed to CorpOHS in January 2015. Jill embodies a unique combination of experience, strong clinical skills, an impressive academic foundation and a caring, thoughtful manner for her patients. Her approach to medicine includes an emphasis on healthy lifestyles and educating patients to empower them to make the appropriate medical and non-medical decisions regarding their health. She is a certified DOT examiner.